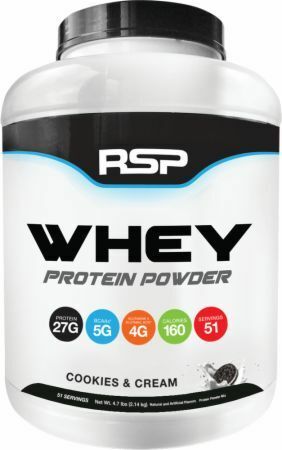 RSP WHEY - 4 Lbs. for $26.73 at iHerb.com! RSP Whey contains 25g of Whey Protein Concentrate, Milk Protein Isolate, Whey Protein Hydrolysate, Whey Protein Isolate) and has a couple of fiber-based carbs from polydextrose, a great “healthy” sweetener that even helps reduce appetite a touch! When this is under $7.25/lb, you’ll find it here. When it’s in BOGO mode, it’s almost always our best deal on this page!! Price Per Unit to get on Deals Page: $7.25 per Lb. Price Per Unit to generate email blast: $6.25 per Lb.